I really like to accompany my questions with images, especially on sites like Graphic Design or Chemistry. I recently played with some image processing and to sip the pain of file dialog, I implemented paste and drag'n'drop for that script. Now I decided to apply this feature to stack exchange. Please note that this is my first userscript for the site and I'm unaware of any API functions I could've used. The script is also quite messy, because I made it in quite a short time. This is why pull requests are very welcome! If the image is very large (specifically, wider than 650 pixels, maximum size of the question div) you will be prompted if you want to resize it. This results in much faster upload, while the rendered size will be the same. If you decline image will not be changed. You can now continue typing as the image is uploading in the background. As soon as the image is loaded, it will appear in brackets. Do not type anything important in round brackets as your input will be replaced by the URL when the image is loaded. 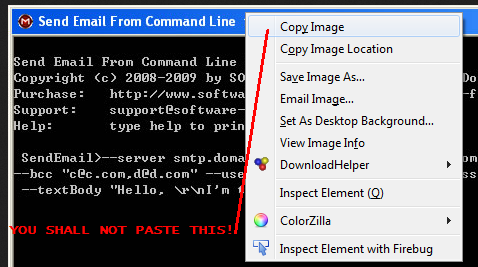 In Firefox, you may also paste files. Note that I didn't implement any kind of file type checking. This version is quite unstable. The image markup doesn't use the normal link referencing (...[i]), because I didn't figure out how to call editor internal commands. When you press Ctrl+V, focus on the textarea is stolen by a hidden <div conntenteditable>. When the paste operation happens (onpaste event), the <div> checks for the files in the clipboard (firefox only). Only first file will be picked. If file is found, the event is canceled. Usually, no files are found. But soon enough, input event fires on <div> and if there's any image data in the clipboard, browser will interpret it as <img> element. If any images are found, they will be uploaded. If no image data are found, the original text/plain clipboard data will be inserted in the <textarea> on the current caret selection. Unfortunately, it's not possible to fire real paste event to leave the pasting on the browser implementation. However my script implementation seems to be flawless regarding this task. There's a big problem with CORS regarding images copied from other sites. They are still referenced by their URL. Whatever file was retrieved will be then converted to canvas, eventually resized and from canvas to blob. The upload function is pretty straightforward then, since I just looked up POST fields in firebug. There's just a strange token called fkey that's used using upload. When you paste the file and the link markup code is inserted an abstract selection node is created around it. This is most complex part of the program. The script is poorly documented and quite complicated. Browse other questions tagged script images .